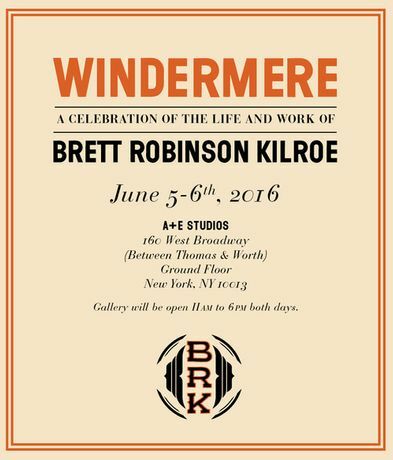 A Celebration of the life and work of Brett Robinson Kilroe. Brett Kilroe was a respected designer, artist, creative director, teacher, and friend. Born and raised in Alberta, Canada, one of Brett’s favorite places was Lake Windermere in neighboring British Columbia, where his family and friends spent many summers. Although a resident of New York City for 23 years, Brett remained close to his Canadian roots, which greatly influenced his work and viewpoint. After living and working with cancer for four years, Brett passed on March 24th, 2016. In his final days he was able to express gratitude to his many collaborators and began planning this show of the work they created.